oh, sweet joy! 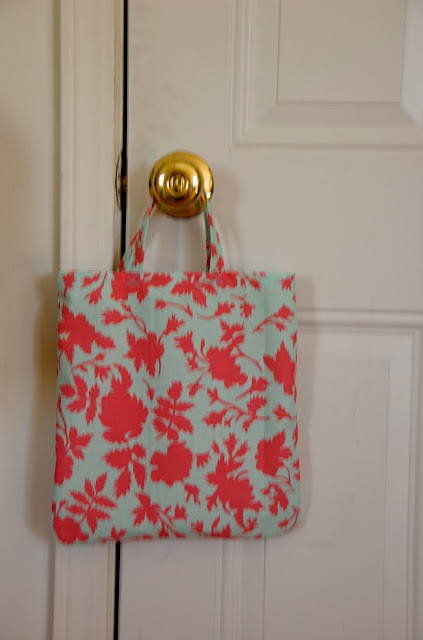 : make SEVEN gifts with HALF a yard of fabric!!! hi, my name is kim and i hoard fabric. i used to buy it in whole yards, and i realized that half a yard is more bang for my buck. here's my problem, though. i see fabric that is on sale and think, "this would be a great clutch! 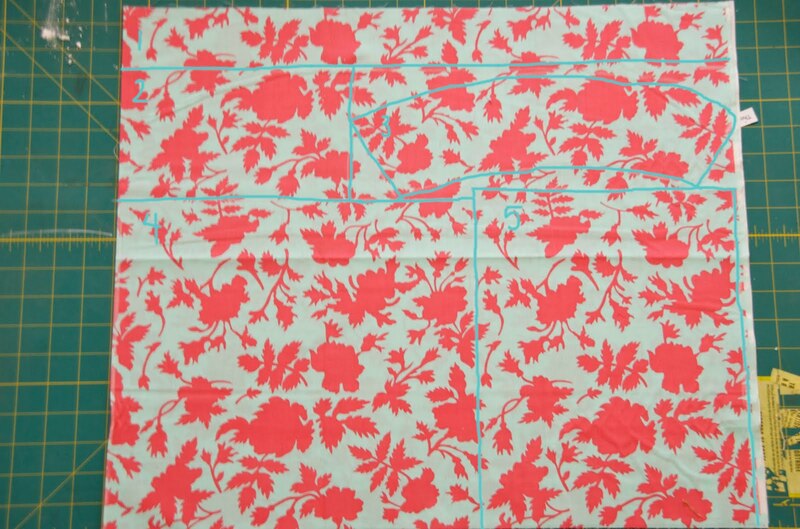 i'll only buy half a yard so i can buy two (or three...or four) different prints" so i buy & receive my fabric. i make the clutch out of it and store the rest never to be used again. until now! my new goal is to use up all or most of the half yard when i receive it so i'm actually using what i buy! what a novel idea...using what you buy. hm. ...and MINIMAL scraps left over. see? that's it! 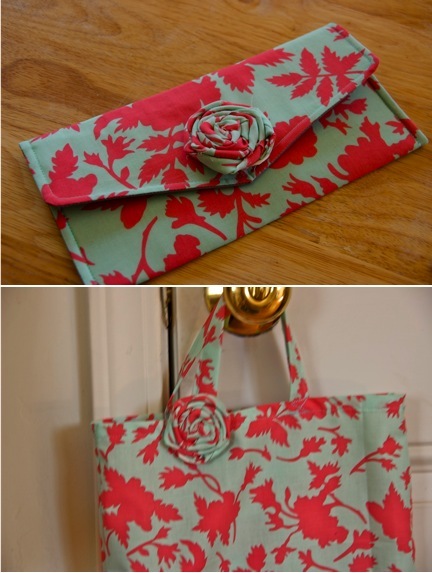 the top strip made the handles of the tote...i forgot to make wristlet straps for the clutches. oopsies. going clockwise from there: two coffee cuffs, two clutches, tote bag, business card/gift card holder. ...that you can put on a clutch, tote, headband, tshirt, hat, anything!! so, there ya go! 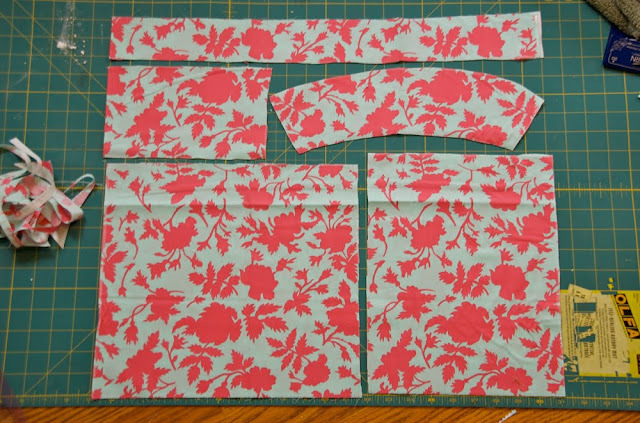 seven gifts from half a yard of fabric! get 'ta sewing!!! oh! i made this a couple of weeks ago and picked it up this weekend. and another shock...its already becoming filled with odds & ends. happy monday. hope its lovely!! we are driving to grand junction tonight to pick up our friends from texas and eat at chic fil a! :) whoop. 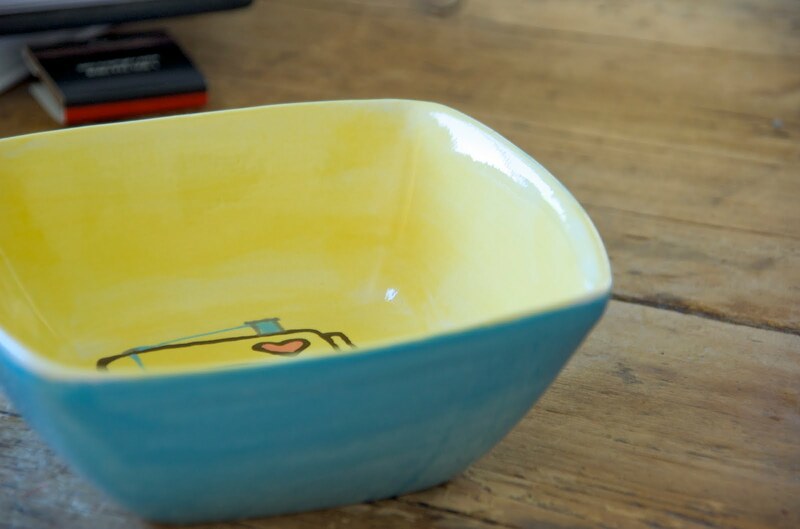 One of my favorite blog posts. 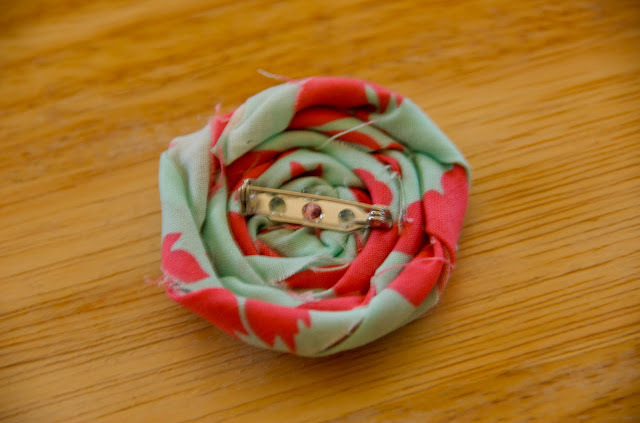 I really really want to learn how to make those cute coffee cuffs. Could you do a tutorial of those PLEASE? 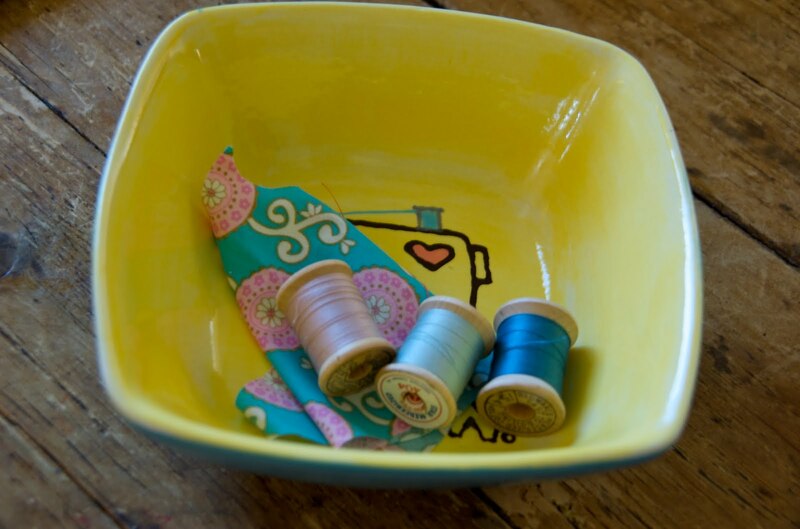 AND LOVE the sweet little sew dish! you are SO amazingly creative, girl! 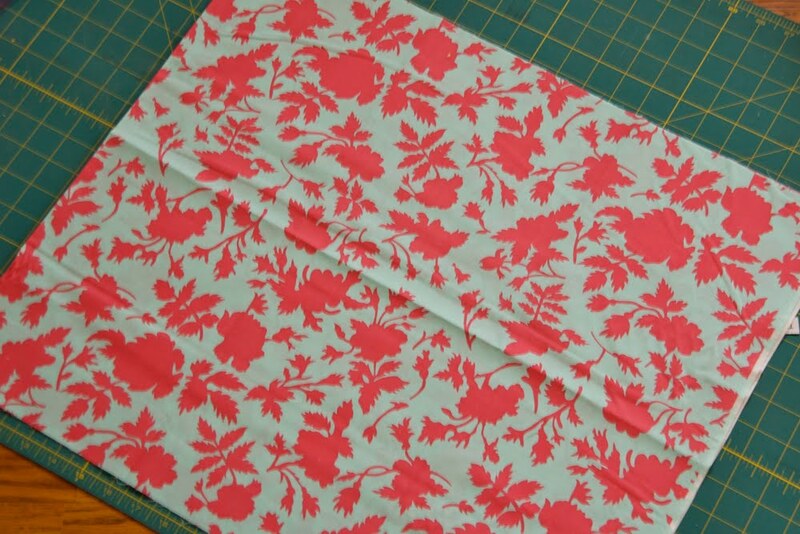 plus i love that fabric you picked out. Wow, you are so resourceful! Great job using up that fabric. Do you use bluprints (or whatever they're called...I am so NOT sewing-savvy!) or do you make them up as you go? Oh my word, this post is adorable. 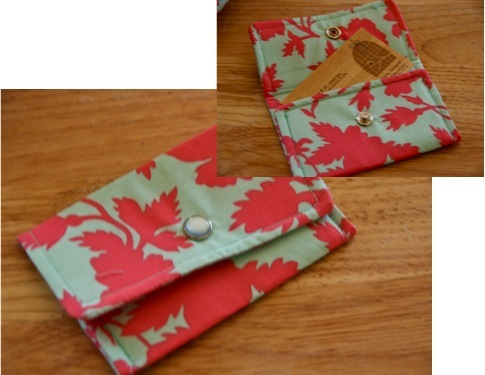 I love love love the clutch you made it is just so cute. When I was in middle school I was really interested in sewing and I made a great deal of purses out of old bluejean denim. It's been a while since I picked up the needle other than to sew on a button that fell off. I should get back into it! Thanks for this post. I loved it. So crafty. omg you are sooo creative!! i want to go home and make all of these! you don't even understand how many half yarders i have! thanks for the lovely inspiration! Wow! I am so impressed. I have to say, I never used up fabric in one sitting like that. Good for you! 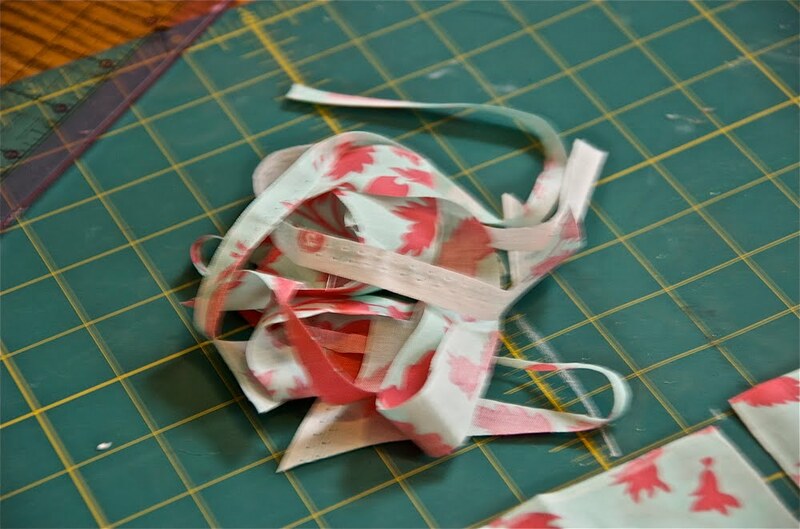 I do keep every little scrap and think eventually I will use them in some fashion. 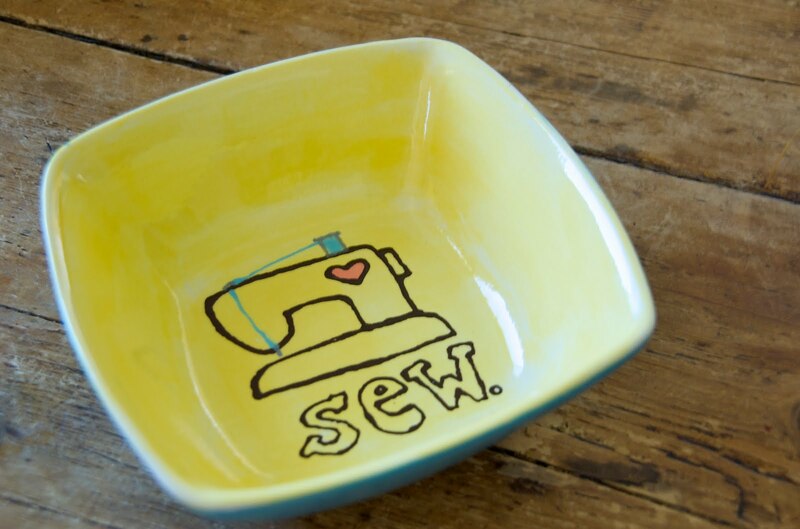 I LOVE your little "sew" bowl. It is adorable! ohhhh chic-fil-a... the things you miss when you've lived out of the states for soo long! That clutch rocks! 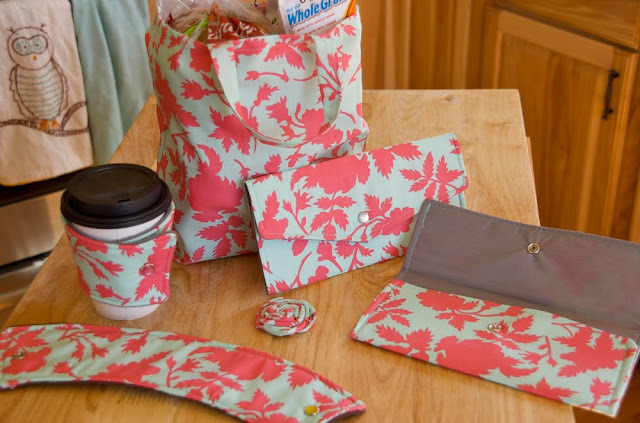 It's a GOOD thing that you hoard fabric! I want all of these! Thanks for stopping by my blog. 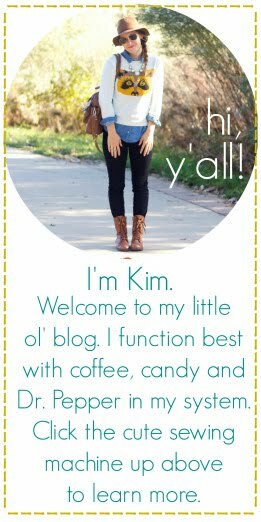 Just stumbled upon your blog and spent 5 hours of my night going through all your posts. You are simply incredible and talented. This post is one of my favorites. Now that I am half asleep, I am unsure if you had tutorials up for the clutch and coffee cuff? 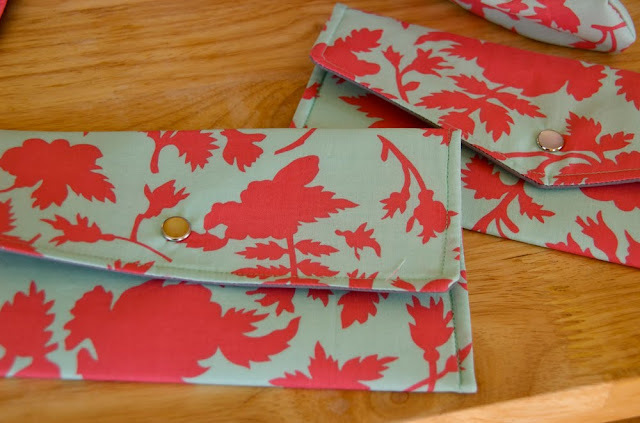 I absolutely love the clutch and would love to see if you had a tutorial on it. Either way, thank you so much for posting. I cannot wait to try it out. 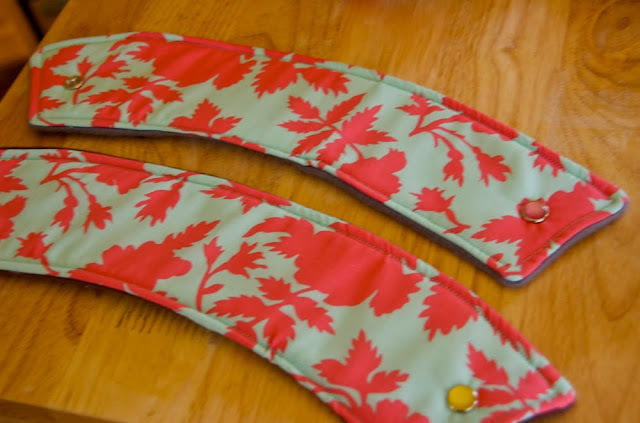 i sell the coffee cuffs, so i don't offer a tutorial for that. however, the clutch is the same process as this biz card holder (http://www.ohsweetjoy.com/2010/01/tutorial-giveaway.html)...just use a piece of paper as your template for size. good luck! What are the dimensions of everything so I can do this?